Home Tags Posts tagged with "Future Ready"
These days, we’re more connected than ever. We can connect to PLNs through various hashtags on Twitter. And as librarians, we can share photos and videos of our library spaces and programs on Instagram. And yet, there are still many librarians who feel disconnected. Today, we’re sharing a discussion between TCEA LIB-SIG President Kristi Starr and Vice President Nancy Jo Lambert on the theme better together and why sharing is integral to Future Ready Libraries. 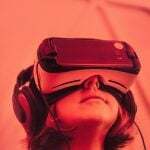 Nancy Jo: One of the things I have observed of late is that things like the Future Ready Facebook group are quite popular. The range of questions and sharing that go on there can vary wildly. It’s obvious there are a lot of librarians across the country who don’t have other librarians in their districts, counties, or systems that they can connect with to share ideas and resources. I have been actively using Twitter for years and cultivated a vast network of librarians nationwide that I rely on to inspire me, answer questions, and look to for resources. But it seems like there are more school librarians who don’t have this than ones who do. What are your thoughts on sharing through social media, Kristi? Kristi: I think social media sharing is imperative. We become accustomed to working in silos. And let’s face it; librarians have a lot on their plates! The phrase “other duties as assigned” was made for librarians. We probably should have copyrighted it. But back to the question, sometimes social media is viewed as one more thing. Then there is the learning curve and time to build a network. While there are notable exceptions – like you! – many librarians tend toward introversion, and that can make it challenging to reach out and engage. But like anything, it takes a little time, patience, and persistence. Take #txlchat for example. When I started participating in chats, I didn’t know anyone, and they didn’t know me. But through social media, I’ve become acquainted with phenomenal librarians both in-state and out-of-state. When you’re from West Texas, you value those broader connections. Once you feel comfortable consuming, you start adding your own voice. Then things really take off! Kristi: I think one barrier to effectively utilizing social media as a professional resource is learning how to curate. Nancy Jo, what would you recommend to gather and save the great ideas you encounter? Nancy Jo: You make some valid points about the barriers that keep school librarians from connecting and building their PLNs. Curation is one of our strengths as librarians! I used to use Pinterest more than I do now. I know a lot of librarians who curate ideas and resources into Pinterest boards. I love making Google Keep notes for everything! Obviously, when I am curating resources that I am going to share with students I add them to my MackinVia. Wakelet is a great tool to curate online, but I haven’t used it very much. I also find that Scrible is a wonderful tool to curate online resources that I am going to use in my professional writing. By using Scrible myself, it makes it easier to teach my students how to use it too. The most important thing about curating ideas and resources is that you share those resources with others. I know that many people find me through my library website, http://www.reedylibrary.com/, because they email me wanting to know if they can use something of mine they found there. I put everything I do on my website, and I offer all of it to other educators for free. I curate all of my own content on my edublogs site, and as of today, I have 892 posts. I love that I can search the content and use the categories and tags to find things. What tools do you use for curation, Kristi? You are so tech savvy and I feel like you are always sharing new things! Nancy Jo: Speaking of sharing, I try to post regularly to my school social media and to my professional accounts, and I’m curious about your thoughts on posting to social media professionally and for your library? Kristi: I always have the best intentions for my library’s social media account when the year starts. Instagram, Twitter, and Facebook make it really easy to switch between accounts and an app like ITTT (If This Then That) will allow you to cross-post between platforms with posts that look native to each. But I also post about school goings-on on my personal Twitter and tag my campus and district. I find that students aren’t shy about following teachers, so often my personal posts get as much or more attention than my library posts. So I put more emphasis on my personal and @TCEALIBSIG accounts than my campus account. Nancy Jo: I think when it comes to social media, my biggest suggestion is that it’s all about who you are FOLLOWING! You want to fill your newsfeed with the people, organizations, and groups that add to and inspire your professional life! We are better together because of the value we add to our community. My other big suggestion is SHARE! Share with wild abandon everything you do. Every great idea or resource is someone else’s saving grace in a moment of frustration or burn out. It is only through sharing on social media that we can create the wealth of resources to propel us forward! Kristi: And while you’re all busy adding people and organizations to follow, make sure you include @TCEA @TCEALIBSIG and your LIB-SIG officers @NancyJoLambert, @librarian140 (Brandi Rosales-Dawson), and @StarrReadnRun (Kristi Starr). This is a guest blog discussion by Kristi Starr and Nancy Jo Lambert. Kristi is the library media specialist and co-campus technology leader at Coronado High School in Lubbock ISD and the President of LIB-SIG. Nancy Jo is a high school teacher librarian at Reedy High School in Frisco ISD and Vice President of LIB-SIG. This blog is part of a monthly series of blogs from LIB-SIG. Help schools and families transition to anytime, anywhere learning. Share and mentor for continuous improvement. If this sounds like the goal of your district and you haven’t taken the Future Ready Pledge, now is a great time to do so. Future Ready is an initiative of The Alliance of Excellent Education. Their goal is to assist district leaders to work collaboratively as they develop and implement personalized, research-based digital learning strategies that enable their students to achieve their full potential. In addition to the Future Ready Pledge, they offer several ways to help jump start a district’s vision and planning efforts. 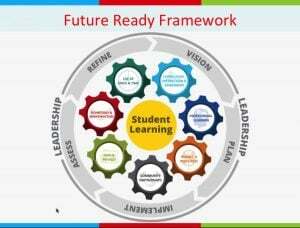 The Future Ready Schools Institutes are free two-day professional development events that are designed to connect schools and districts who are implementing personalized learning in a digital environment. The goal is to provide regional networks to make it easy to share best practices and lessons learned. Check out the agenda for these free events and their locations. If you don’t have the time or the resources to attend one of the Institutes (even though they are free! ), their webinars are an excellent way to connect with experts and practitioners with good advice on issues pertinent to teaching in a digital classroom. Here are a couple to check out: Future Ready Librarians: What’s Not to Love, Amplify: Digital Teaching and Learning in the K-6 Classroom, and Blended Learning: Recommendations and Resources. Be sure and check out their upcoming webinars and chats. Future Ready also partners with education conferences and conventions to identify sessions that are related to their frameworks. We did this at TCEA 2017 and will do so again at TCEA 2018. 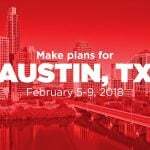 Tom Murray, from the Alliance for Excellent Education, will be presenting three sessions at TCEA 2018. Come learn ways you and your district can implement the concepts you learned at an FRS Institute. Or perhaps Tom’s sessions and others may inspire you to attend a future Institute. Finally, you might want to check out the Future Ready Dashboard. It is a free interactive planning tool that could be used by your district’s planning team as you implement blended learning. It will provide you with a Digital Learning Readiness Report with valuable information that ensures you keep your focus on student learning as you transition to a digital teaching and learning environment. This blog post is not meant to be exhaustive. The Future Ready initiative is not a one and done type of effort. They have proven over time that they are committed to their mission and are willing to adapt and grow. This is why TCEA is proud to be considered one of their partners. Hopefully I have whet your appetite to know more. Start by checking out their website. Welcome to TCEA Responds #11. Submit your own question(s) online. Today’s topic is redesigning your library. Help. 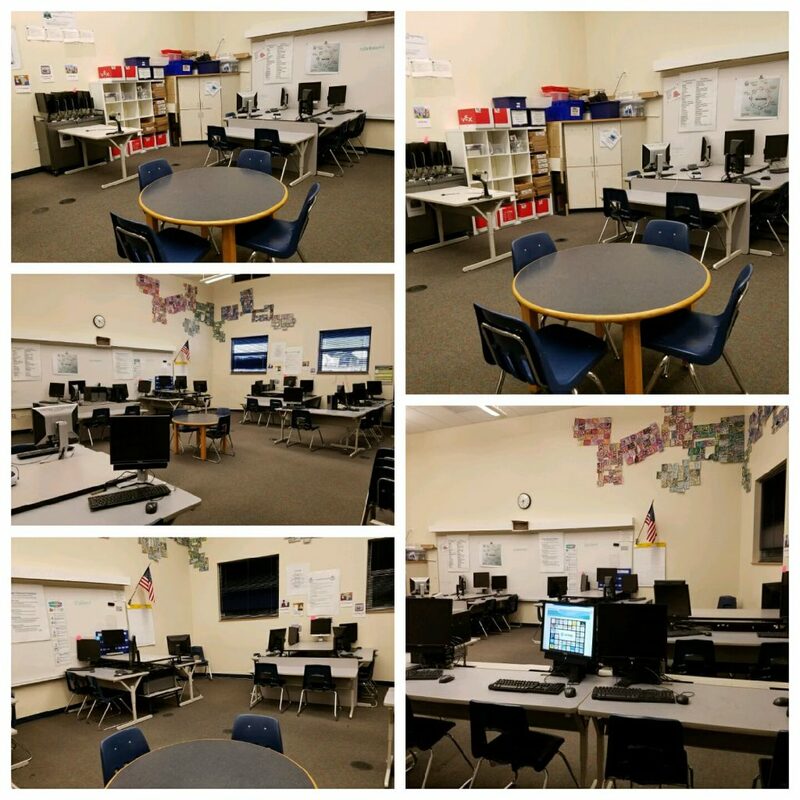 What does a 21st century library computer lab look like? I may have an opportunity to have input for my space and I want to know what is out there that works. I’m hearing of many labs that are going away entirely. Your students may need a couple of desktops for video editing or other processor-intensive work. The vast majority of needs can be met with Chromebooks in the classroom. No lab. You can use the space for video production or other things. I turned my lab into a makerspace since we’re 1:1. We call it the Fab Lab. I have a cart of 30 chrome books. I like that they are portable and we can use them in the library classroom and in the library. The main area I use has a whiteboard wall with whiteboard tables. We have one school where the lab went away because they are 1:1. In others, we have Chromebook carts and are moving to flexible furniture. Most libraries do have makerspaces. The message from these future ready librarians? Computer labs are gone or soon will be. Instead, the space they occupied is now more flexible, ready for making. Creating a makerspace in your library reflects a growing trend. Listen to this podcast as two librarians share their insights about creating these innovative learning spaces. They have turned their libraries into a base of operations for mobile makerspaces that teachers can check out. Ample access to Chromebooks and iPad kiosks for ebooks describe technology in libraries. Some libraries are also doing away with uncomfortable wooden chairs, opting for more comfortable learning spaces and reading nooks. Are you going to be re-envisioning your library this summer? 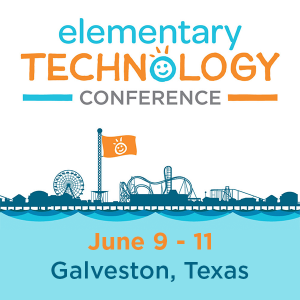 Get connected with other librarians by attending a TCEA Makers event. Spending on educational technology has continued to climb to record levels, equating to billions of dollars per year in the U.S., despite the stagnation of many school district budgets. As school leaders around the country consider investing in technology as a way to improve student learning outcomes, it’s imperative that they seek a “return on instruction” (ROI). To do so, they must understand what research has shown to be effective when infusing technology tools for learning. What is it that actually works? Using Technology to Support At-Risk Students’ Learning1, one of the top reports on the topic, from the Alliance for Excellent Education and the Stanford Center for Opportunity Policy in Education (SCOPE) indicates that, when implemented properly, technology can help boost engagement and produce significant gains in student achievement, particularly among students most at risk (Darling-Hammond, et. al, 2014). After reviewing more than 70 research studies on the effective use of educational technology, Dr. Linda Darling-Hammond and her team at Stanford University were able to provide concrete examples of classroom learning environments in which technology made a positive impact in the learning outcomes of at-risk students, as well as those uses of technology that were far less effective. (3) Utilizing the right blend of teachers and technology. With the ability of adaptive technology to provide “interactive learning” experiences and create a more personal approach for students, high quality instructional practices can be amplified, resulting in improved learning outcomes. As such, school leaders have found themselves buying a myriad of devices, pushing them out to buildings, and hoping the tools will have a positive impact. Nationwide, we see a trend where school leaders are rushing to purchase technology, with little to no systemic implementation plan or long-term vision for a shift in instructional pedagogy or mindset. Systemically develop a culture of innovation. Curriculum, instruction, and assessment are tightly aligned and redesigned to engage students in 21st century, personalized, technology-enabled, deeper learning. Curricula and instruction are standards-aligned, research-based, and enriched through authentic, real-world problem solving. Students and teachers have robust and adaptive tools to customize the learning, teaching, and assessment, ensuring that it is student-centered and emphasizing deep understanding of complex issues. Assessments are shifting to be online, embedded, and performance-based. Professional learning is the vehicle that drives a pedagogical shift. Professional learning that is relevant, systemic, and ongoing is most effective. Non-traditional forms of professional learning, such as the use of social media and edcamps, are valued, not dismissed. Such opportunities ultimately lead to improvements in student success and create a broader understanding of the skills that comprise success in a digital age. Personalized student learning requires changes in the way instructional time is used and the learning space is designed. This type of system adapts learning to meet the needs, pace, and interests of the learner to become more personal in nature. A shift in pedagogy also requires a shift in the space in which the learning takes place. The effective use of technology provides tools and resources that increase teaching opportunities and promote efficiency, but is dependent on ubiquitous connectivity and access. High quality technology and infrastructure systems within a school district are essential to making personalized student learning a reality. Such environments make anytime, anywhere learning possible. Data privacy and security are foundational elements of personalized learning. The district ensures that sound data governance policies are enacted and enforced to ensure the privacy, safety, and security of confidential information. Data is used to support a more personal approach to teaching and learning. The transition to digital learning requires strategic, long-term budgeting and leveraging of resources for short and long term sustainability. Such plans ensure fiscal responsibility and a learning return on investment. Community partnerships include the formal and informal local and global community connections and relationships that advance the school’s learning goals. Schools that are future ready have a dynamic brand presence where the community is an essential thread woven into a district’s culture. The outside ring of the framework, and what holds all of the interworking gears together, is collaborative leadership. Simply put, you, as an educator capable of leading, are foundational in creating future ready schools. Critical to a successful transformation is your ability to create and support a culture of innovation that builds the capacity of all stakeholders to work collaboratively toward a transformed learning experience. Today’s generation of students, regardless of the zip code they call home, both deserve and need, greater opportunity than the traditional education structure has previously afforded those in the past. This isn’t simply an educational issue to debate, but an economical issue that will have a lasting impact on generations to come. You are part of the solution. For more on Future Ready SchoolsⓇ, visit www.futureready.org and be sure to check out one of the eight free regional institutes being held in 2017. Included in these institutes and throughout 2017, will be strands specifically for district leaders, principals, librarians, IT, and instructional coaches. 1. Darling-Hammond, L., Zielezinski, M., and Goldman, S. (2014). Using Technology to Support At-Risk Students’ Learning. The Alliance for Excellent Education and Stanford Center for Opportunity Policy in Education (SCOPE). This guest blog post was written by Thomas C. Murray, who serves as the director of innovation for Future Ready SchoolsⓇ, located in Washington, D.C., and was recently recognized as the 2017 Education Thought Leader of the Year. Connect with him on Twitter at @thomascmurray. Brianna Hodges serves as the director for digital learning for Stephenville Independent School District (TX), and was recognized as the Instructional Technologist of the Year from TCEA in 2017. She is also an advisor for the national Future Ready SchoolsⓇ Initiative. Connect with her on Twitter at @EduTECHtastic. This blog is written by Bill Lewis, Assistant Superintendent of Technology and Curriculum Support in Seguin ISD. Bill is also the current President of TCEA. It is clear that the implementation of technology is important to the state of Texas and all its school districts. In 2004 through 2006, the Texas Long Range Plan for Technology (LRPT) was created and put into action. Numerous forward-thinking people contributed to this ambitious document. These pioneers did groundbreaking work, and Texas schools are better because of what they did. In recent years, E‐Rate no longer requires a technology plan as part of the filing process, there is no more NCLB, and the Texas ePlan is not required by the State of Texas. The companion tool, STAAR Chart, is an outdated tool that no longer offers relevant data needed to make meaningful decisions and is consequently used sparingly by school districts. Can technology plans written for designated periods of time meet the prerequisites for providing a quality instructional program for our students and teachers? I propose that our process for developing instructional planning has to change. Technology plans were born out of an effort to create documents that are meaningful to districts and schools on their own merits – even if there was no mandate. In the past, it was clear that E‐Rate, Texas LRP, and NCLB compliance drove the process. The technology plan was formatted to make it easy to scan down a checklist and demonstrate compliance. Today, compliance is no longer a factor. The pace at which instruction and technology change increases exponentially. Districts should plan for a high standard of service, such as upgrading aging infrastructure, new business and data collection systems, and other items that have a mandated need and a long-term life expectancy. However, the days of district-wide replacement cycles and upgrading devices on a schedule are vanishing. The need to merge instructional and technology planning has surpassed the years of lip service that have subsisted and a new reality is necessary. If the process starts with a vision of fostering a climate where student learning is at the epicenter, then districts must integrate a technology planning process that aligns with the instructional strategy needs for the district. The results will be the optimal association of resources and actions to successfully and efficiently grasp an enriched vision of student learning. Stated differently, it is the acknowledgment that in a highly digitized economic climate in which our educational organizations exist, antiquated and independent operations of a technology department can not operate outside of the goals, culture, and pedagogical vision of the instructional side of the organization and the belief that a mission of success is possible. Equally, in a highly technical world with the expectation that students should be empowered digital citizens, the instructional goals must incorporate effective, meaningful digital tools. Create a year-round collaborative environment that fosters relationships between instruction and technology. Keep board and district goals aligned. Create a process where the instructional needs drive all decisions. Be intentional with the integration of technology and instruction. Address the infrastructure needs of technology to support student and staff needs. School districts complete an annual District Improvement Plan (DIP) that is often created to meet state-mandated accountability criteria based on standardized test outcomes. I offer that districts should rethink the DIP process and center efforts on strategic planning. Strategic planning inherently lends itself to be a more inclusive process where diverse groups can be deliberate in building core strategies. Creating a strategic plan keeps the attention on priorities, focuses energy and resources, strengthens operations, and ensures stakeholders we are working toward common goals. The use of independent technology and instructional plans have historically been with their own mandates and timelines. Instruction and technology must not be seen as separate from one another any more, but as two different aspects of the same process with a common mission – each with a specialization. This cannot be the norm any longer for schools that wish to make progress and be a future-ready district. Is Your District Future Ready? TCEA is excited to host the Future Ready Summit in Austin on July 18-19. Future Ready, in partnership with the U. S. Department of Education, will be a two-day event focused on district-level planning for the purpose of elevating instructional outcomes using digital learning and networking with other regional leaders who are engaged in Future Ready initiatives. Participants will have access to national experts, regional colleagues, implementation exemplars, and strategies for a successful digital conversion. The Summit is open to district leadership teams from districts where the superintendent has signed the Future Ready District Pledge, a commitment to implementing meaningful changes toward a digital learning transition that supports teachers and addresses the district’s vision for student learning. If your superintendent has not yet signed the pledge, it’s not too late – sign the pledge! Don’t miss out on this perfect opportunity for your district team to jump-start planning efforts and vision for student learning under direct guidance from Future Ready facilitators. Registration for this important event is FREE, but space is limited. So register TODAY to save your team’s spot at the Summit. If you have any questions, please contact Sara Hall at 410-279-3368 or [email protected]. We look forward to seeing you there!